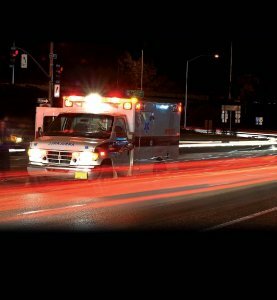 Indian River County Car Accident Leaves 32-Year Old Severely Injured | Schuler, Halvorson, Weisser, Zoeller & Overbeck P.A. Indian River County car accident injures six people and leaves 32-year old severely injured, authorities report. On his way to work, the 32-year-old fell asleep at the wheel of his car, veering off the side of the road and rolling his vehicle, before colliding with another vehicle. He hit his head and was thrown from the car, leaving him with extensive injuries and later fighting for life. He suffered broken ribs, internal punctures, spinal injuries and serious damage to his brain. He’s now receiving ongoing treatment at a hospital in Hobe Sound in Martin County. The passengers and the driver in the other car he hit, were also taken to a nearby hospital, three are in critical conditions, while two sustained non-life threatening injuries, according to FHP. “When we were told they were in a car accident, we were petrified not knowing whether he was alive or dead,” the 32-year old mans fiancée said. “We didn’t know what was happening, we just knew he’d been in an accident.